LICF SEXPATS PEDOPATS GOOD PEOPLE & THE REST OF US. - Paul Petrea and associates. 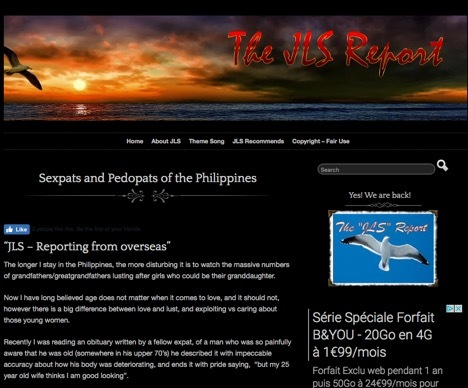 As of the typing of these lines, the site is down, hopefully, it will come back soon, you can read some good stuff there including this one: LICF SEXPATS PEDOPATS GOOD PEOPLE AND THE REST OF US. “Sometimes I am tempted to suggest that the Philippine Immigration should plant personnel into these groups to locate all the undesirable sexpat/pedopats and boot them out of the country. 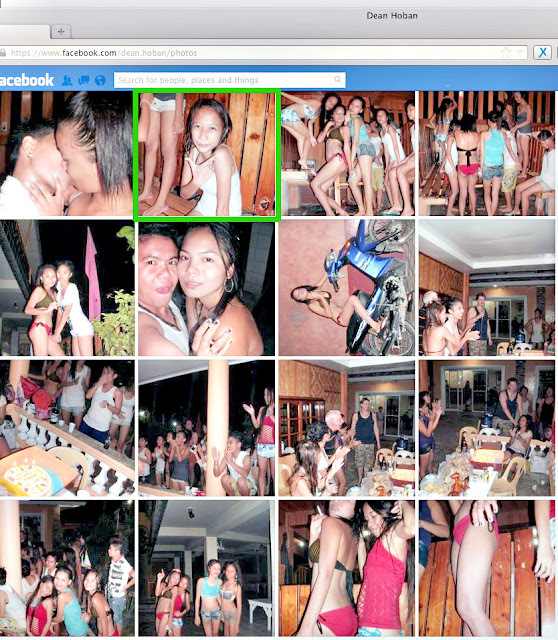 It’s not hard to find them, just look at where all the bargirls and white folks hang out, and if you think it’s a few, think again, there are literally thousands of them across the Philippines”. Noticed the new word? Pedopats! Right on the money bro! That’s exactly what I’ve been doing for many years now, in my own little way, I’m sure you know me and what I stand for. From day one, had no doubt in my mind that many forums in the Philippines aren’t here to provide you with useful information about the country. This is the façade, scratch the surface, troll them, spy them, stalk them, and? Voila! Something else will come up. The blog you’re reading it does just that. You’re asking the PH immigration to do the same. FYI, not only they don’t bother, they prevent also the PNP of doing its job, same with prosecutors. Friend, the Philippines inherited from the US a judicial system so complex that even the US fails more than often, imagine in the PH! Ignorance, bribes, inadequate means, and poor training results onto criminals going unpunished for as long as you can imagine, or the wrong person may die in prison for nothing. 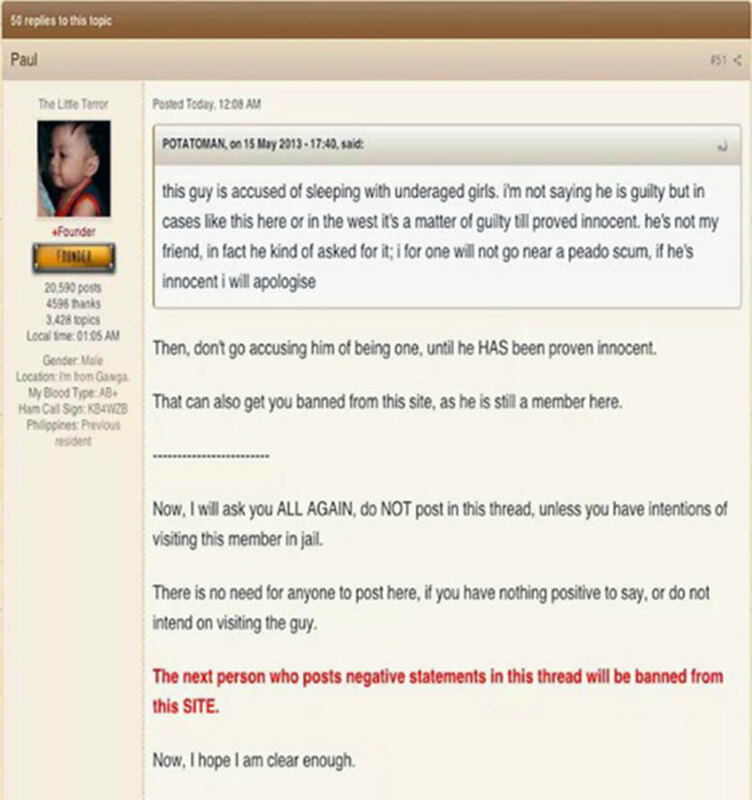 My “obsession” with the owner of this forum – Living in Cebu Forums – Paul Petrea goes back to many years, not only because of his own animalistic behavior that surfaced at his early age, about 25, when still living in Savannah Georgia, married, physically and psychologically tortured TWO Filipinas, not one only that you read in my blogs. He jumped bail on a criminal case related to one of the two and fled to the Philippines where, in associations with barfine bars, pimps, scammers, and pedophiles intensified his psychotic behavior. Until the day I banned him from the country. This blogger, Evan Iliadis the stalker, has seriously harmed Paul’s support regarding his prostitution activities, with Paul’s poor IQ hard to conduct this business from outside the country, that unfortunately, that’s all I have been able to achieve, instead of throwing him in a PH jail for the rest of his life. He escaped to Cambodia from the Mindanao’s back door, where he lives. Time has now come to dismantle whatever left of his pedo-business and stop him from harboring and profiting of these psychopaths, those Paul has openly stated his admiration. Take a look at the picture below. A good friend of Paul, “senior” member in his forum before his incarceration. No, I did not mask his face. The forum where he posted the picture did it after I helped his arrest and exposed him together with all lowlife members of the forum Philippines-addicts. LICF SEXPATS PEDOPATS GOOD PEOPLE AND THE REST OF US. How old is she? 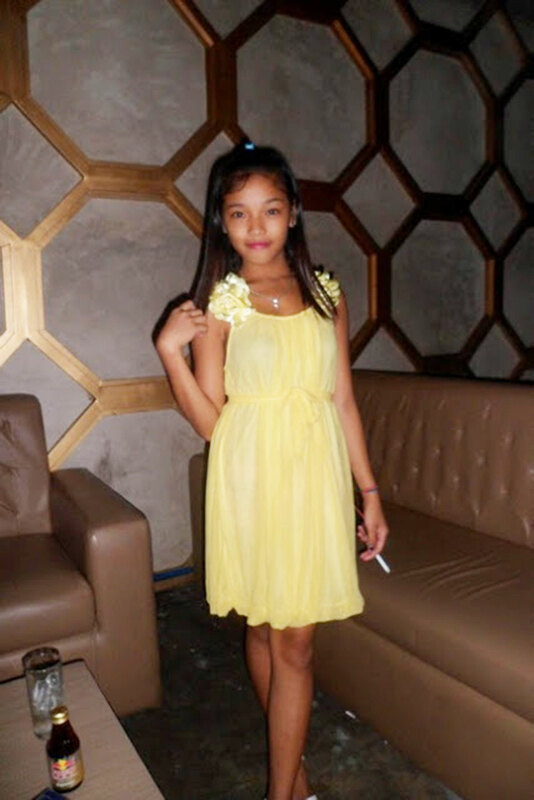 Not even 16 and already on drugs, alcohol and prostitution. Thanks to Drew Shobbrook. LICF SEXPATS PEDOPATS GOOD PEOPLE AND THE REST OF US. And this one from Drew Shobbrook FB under his 4th ID Dean Hoban. Click on to enlarge it and tell me: How old is the little girl inside the green contour? Click on to enlarge it and tell me: How old is the little girl inside the green contour? LICF SEXPATS PEDOPATS GOOD PEOPLE AND THE REST OF US. Click on the image to enlarge it. LICF SEXPATS PEDOPATS GOOD PEOPLE AND THE REST OF US. Good to see you back at it Evan. I am one of those expats living quietly and enjoying a PP free world. I have seen a very distinct positive change in the type of expat around our community now. Thanks and keep up the pressure! We are still in contact with several of his past victims here and the pain they feel never goes away…… they move on, but at times, the pain of what he did to them surfaces even now after several years have passed. Hi Ron good to see you too! You have also largely contributed to these changes to make this place decent. The LICF slowly become what it suppose to be but never was, a place for expats to share information and practice solidarity without been victimized by Paul's scams. More changes are coming to this forum soon, it was time. Enjoy the Philippines. Paul is on notice. If he try to come back will find me on his way in person this time. Not sure what you mean, I published it anyway.